At once both monumental and obscure, it stands within a visually serene yet ruggedly remote setting. 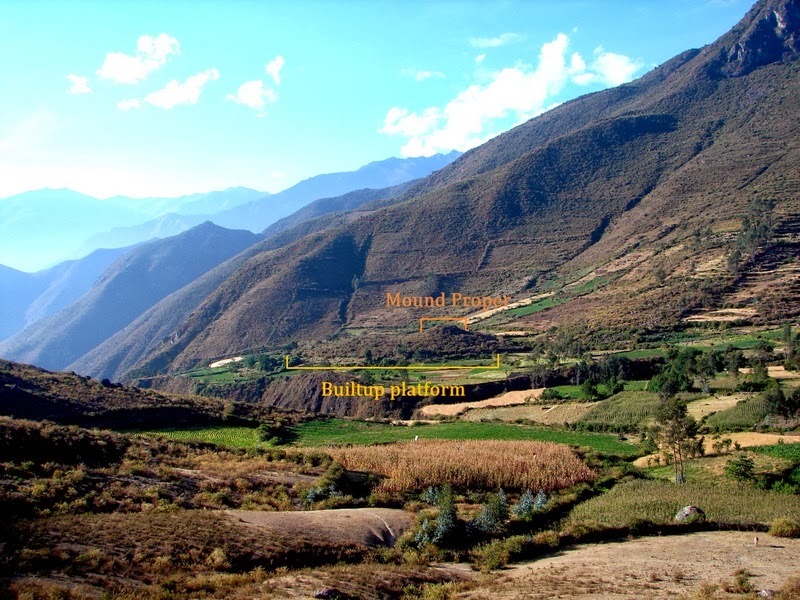 Named after its nearby namesake village of Cosma, nestled in the upper Nepeña Valley of central Peru, it is a relatively unexplored complex that includes three human-made mounds thought by archaeologists to be nearly 3,000 years old. During the summer of 2014, it will become a destination for a small team of archaeologists and students who will, for the first time, begin serious archaeological excavations at the site. Until now, it has attracted little attention from the scholarly community. 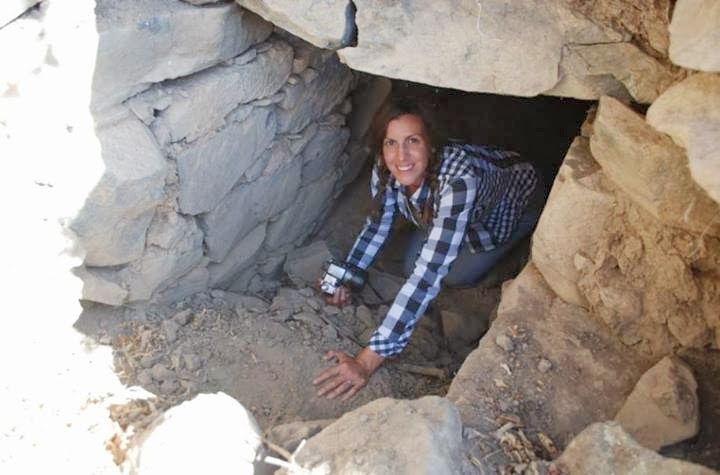 But Andean archaeologist Kimberly Munro, who is also a PhD student with Louisiana State University, hopes to change that. "I was revisiting prehistoric sites in the upper Nepeña Valley originally surveyed by Richard Daggett and Donald Proulx in the 1970s," says Munro. 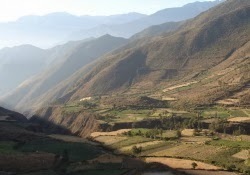 "These sites were mostly ridge-top occupations and based on Daggett’s report, showed evidence of highland-coastal interaction; a topic of interest for me for my own dissertation research.” A local school principal from the town of Salitre had clued her in to a “large Inca site and a hilltop fortress known as Iglesia Hirca” near Cosma. The largest of the three mounds in the complex, Karecoto, is about 250 meters long and 70 meters wide, and features an underground gallery and truncated top. The top is flat, and Munro describes its location as including walls and domestic structures surrounded by what appear to be prehistoric canals. About 600 meters south of the large mound and across a ravine is a smaller mound, known as Ashipucoto, featuring signs of exposed architecture at its top due to looting. Above Ashipucototo the south is a ridgeline that supports what is interpreted as the domestic area of the site and, following the ridgeline about 1,000 meters up is an Inca occupation known as Caja Rumi, which features large boulders, more ancient terraces, and more domestic walls and architecture. Finally, perched atop an opposite ridge overlooking Karecoto and the village of Cosma is the third mound, and Iglesia Hirca, the hilltop fortress. 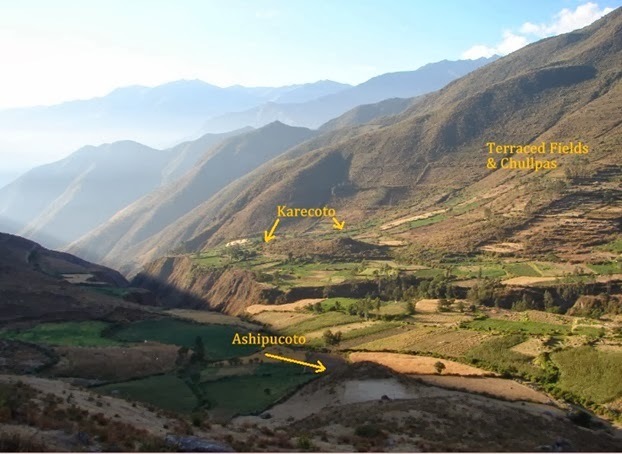 All three mounds, excluding the Inca occupation, are tentatively dated by Munro to the Early Horizon Period. 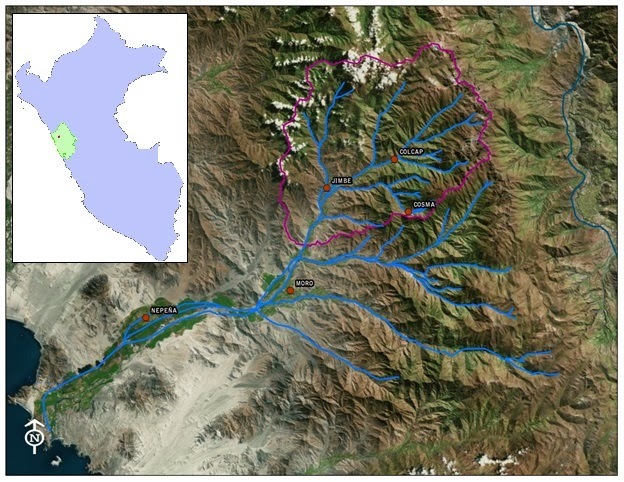 The Nepeña river, Nepeña valley, and the Cosma location (right of center) in this image, with map inset showing Cosma location within the Caceres District, Department of Ancash, central Peru.Image credit Kimberly Munro. The Karecoto and Ashipucoto mounds labeled within the research area. Photo credit Kimberly Munro. Photo illustrating the mound portion and the built-up platform. Photo credit Kimberly Munro. 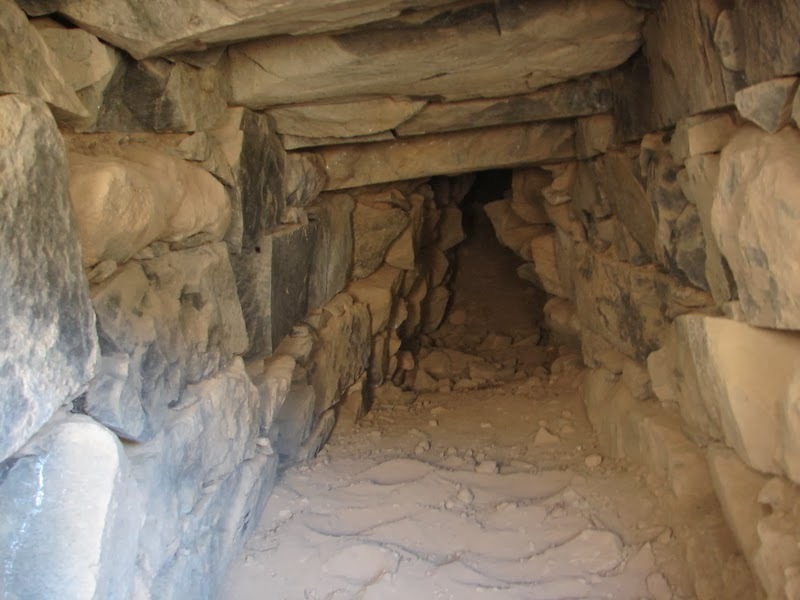 Interior of the Karecoto structure gallery. Photo credit Kimbery Munro. Project Director Kimberly Munro explores the gallery (tunnel). Said Munro: "Exploring the gallery was surreal. It was clearly looted and cleaned out to be exposed within the mound like that….but it was obvious no one had been inside in some time. I was already overwhelmed by the size of the mound looming before us, but I wasn’t prepared to see the exposed tunnel......" Photo credit David Chicoine. Wall remains of Iglesia Hirca, the hilltop fortress. Photo credit Kimberly Munro. 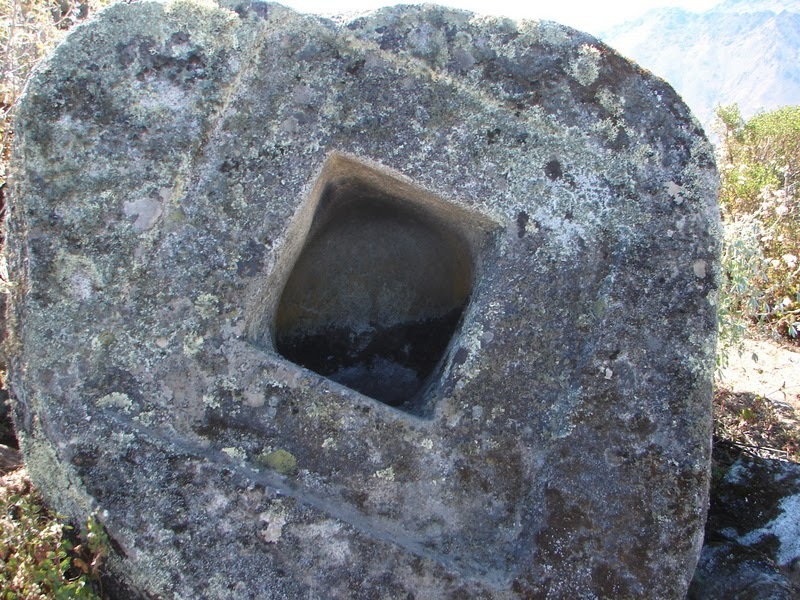 Carved boulder at Caja Rumi. Photo credit Kimberly Munro. To find the answers, Munro will be co-directing an initial research team with Jeisen Navarro Vega of the Registro Nacional de Arqueologos del Peru (RNA) to conduct test excavations at the Karecoto and Ashipucoto mounds and a ridge-top site, along with total station mapping of the overall Cosma site complex. The effort won’t be easy. There is no public transportation to the site. To get there, one must catch a ride on a once-a-week delivery truck, or hike 5 hours from the next closest town of Jimbe. This presents a logistical challenge for packing in tools or supplies. Secondly, components of the site are situated on high ridge-tops about 1,000 meters above Cosma, and the sites of Iglesia Hirca and Caja Rumi alone are a three-hour hike from the town. Moreover, the sites are overgrown with trees, bushes, and tall cacti, requiring the team to first clear the vegetation before mapping and excavations can begin. Another challenge will be related to the community of Cosma, itself. There is electricity, but no running water. The team will need to find ways to maintain an adequate amount of drinking water and, in the longer term, build showers and latrines. 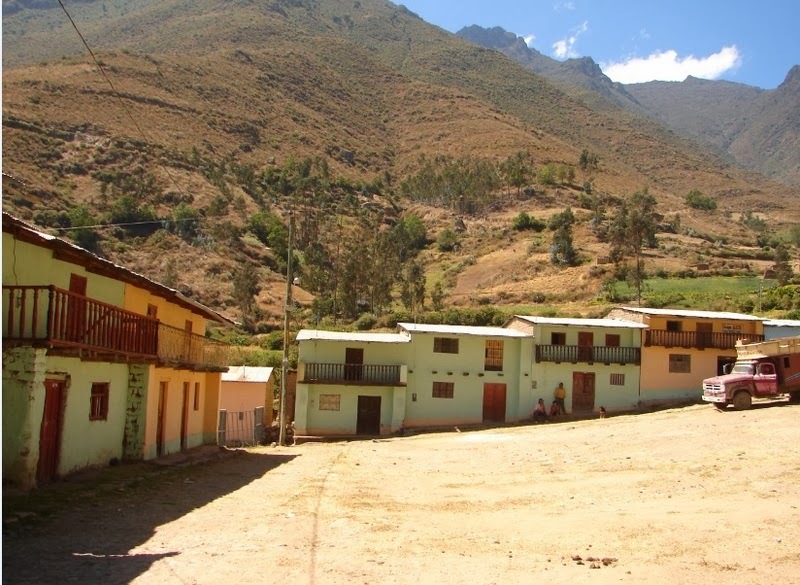 The town of Cosma, with the Cordillera Negra mountains in the background. The town has early 18th century Spanish colonial origins. 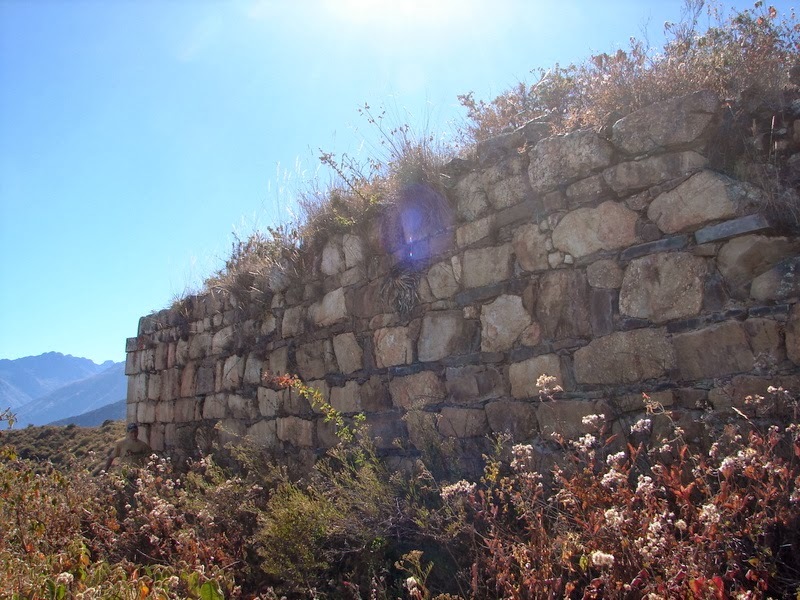 It is listed by the district municipality as being “the oldest town in the department of Ancash." Photo credit Kimberly Munro.